MONTCLAIR, Calif., April 30, 2018	(Newswire.com) - Over a thousand children go every day without a single drop of water, California lakes had dried up, farmers’ suicide in India was on the rise due to no rainfall. Shortage of the most important resource of all had driven a lot of countries to seek technological help from the brilliant minds in the world. And that is how the idea of conversion of seawater into freshwater came into existence. Seas have ample water to support the human race for thousands of years. If every drop of water was freshwater probably we wouldn’t have had the problem of water in the first place. But if it did were to be so, we wouldn’t have realized the importance of water so soon in the course of our existence. We would have realized that we made a mistake of using up all the water without efficiency and probably lead to extinction. Thanking the Mother Nature for all its lessons though, we do have a big problem of seawater not suitable for our tastes and health and so a complicated process of Reverse osmosis has to be carried out on every single drop of seawater before being used for drinking. At least many desalination plants do. But something we all have learned now is to not take harsh decisions and just do something because of its benefits. Without proper research building, a desalination plant for countries can be a right or wrong decision. Is desalination plant the right decision? We know that countries look forward to such a choice when they are faced with the danger of water shortage. One very interesting step that few countries are taking to ensure the right decision is made, is to first analyze what is really the problem behind water shortage and which is the best solution. A recent analysis of the situation in South Africa revealed that the country faces the problem simply because of poor distribution and handling systems of water resources. Now that the lakes have run dry, desalination seems like the only option but it is very expensive. An interesting find, this can be true for many other countries. 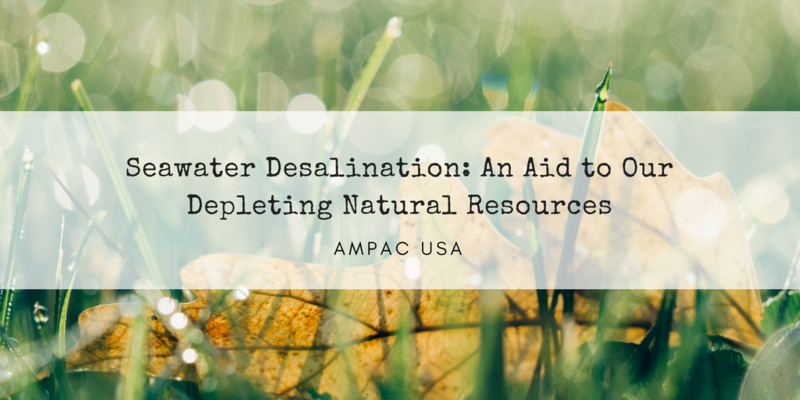 The installation of such a desalination plant alone costs millions of dollars and a similar amount is spent each year on maintaining and operating the plants. On the contrary, much of the water woes can be easily solved for countries with just a proper management system of their natural system. It is true that desalination plants give freshwater quickly but using our natural resources efficiently can help us divert the funds to the relief of the poor, building of jobs and development of the country. Countries can adopt several water conservation protocols and efficient water management systems so they aren’t dependent on the highly expensive technology today. Research of the problem at hand, getting in all the brains that can come up with time-sensitive impactful solutions to the problem of why doesn’t the water stay. Implement re-forestation initiatives and make better use of farm and other lands that are out of use for a while. Encourage environmental friendly projects that mean less deforestation and more afforestation. Make mandatory efficient use of water at homes. Provide water in a time-specific manner, spread awareness among the people about the importance of saving water, encourage the masses to participate. These steps can be rather helpful to bring greener and with it more water into the region. Once that is done, ensuring that efficient water management system is in place can help further in avoiding the outcome we all never want to see. If these attempts work probably a few decades down the line we won’t need desalination technology anymore.